Routing is the process of passing information in a network from source to destination.It is also known for process of choosing path for fowarding packets in a network. Routing is same for datagram and virtual circuit type of services. 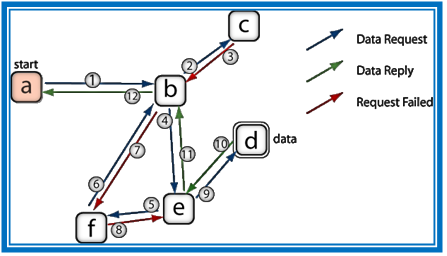 Routing is dependent on network topology that us static in nature. Routers are always fixed and hence the routing overhead is minimum.